Every day Amelie Clarke goes to school knowing a sweet surprise from mum awaits in her lunch box. But it’s not cakes or lollies. 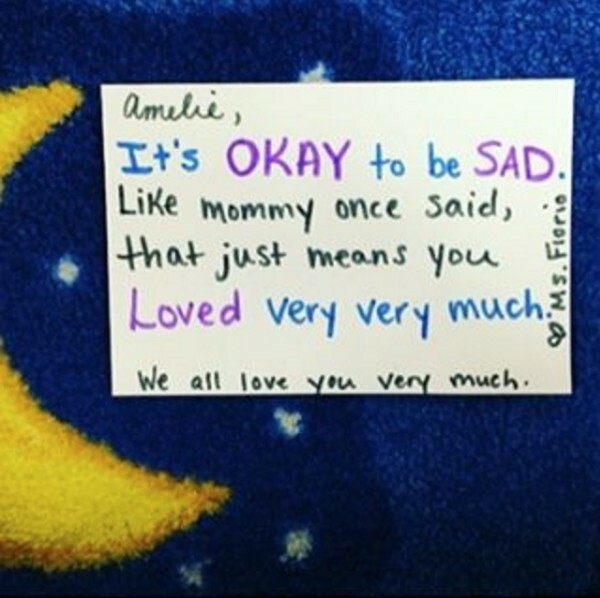 Instead, it’s a handcrafted love note with words aimed to help Amelie cope with the loss of her dad. 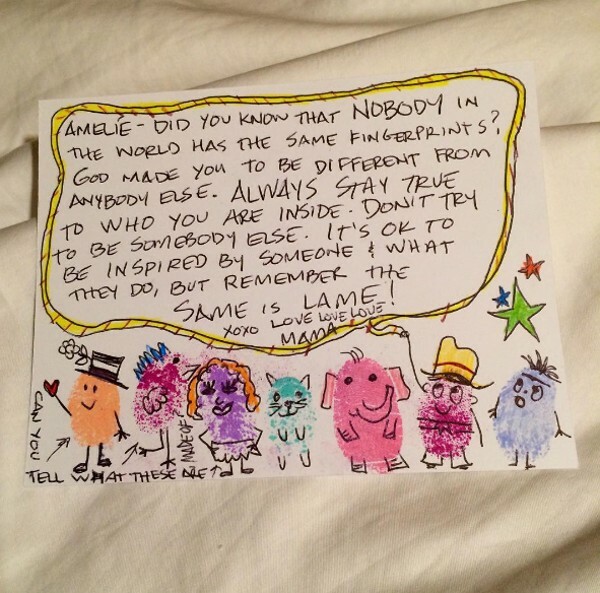 Mum Julie Clarke started writing little notes for Amelie’s lunch box last year. 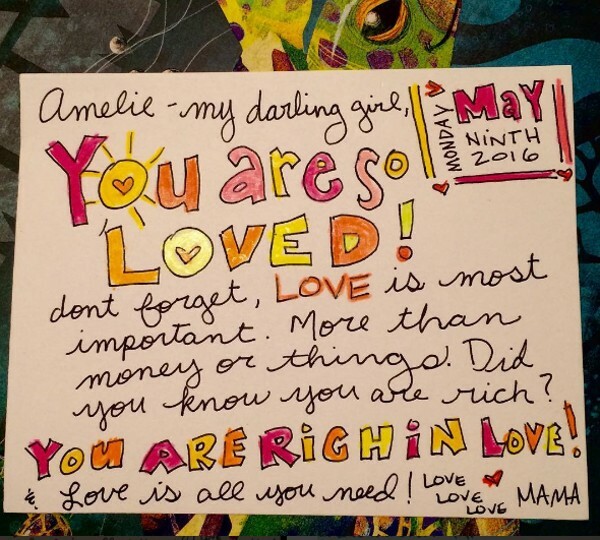 But the notes took a poignant turn when her husband – Amelie’s dad – died unexpectedly last month. 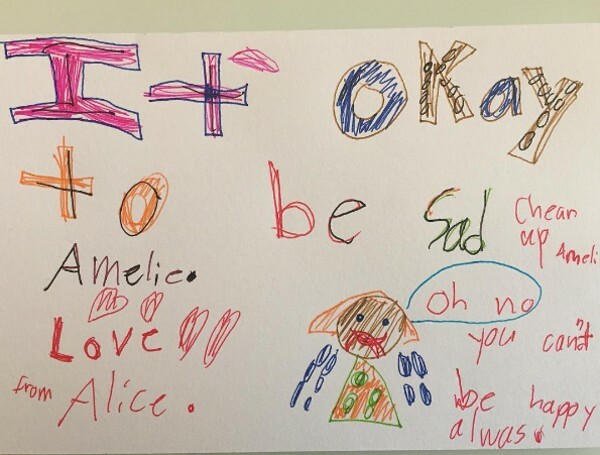 By sharing her sentimental creations on Instagram, Julie found she had a following from within her daughter’s school and well beyond. Since news travelled about her husband John’s sudden death on May 1, an outpouring of sympathy in the form of handmade notes posted to the Instagram account has followed. Parent Tool Kit reports John died from an allergic reaction to a bee sting and so his death was sudden and unexpected. Julie even shared a note which included a post from her husband reflecting his love for their daughter when she was born. “There were about 15 kids born on our floor on Thursday….We got the best one,” his post says. Julie says the more than 70 notes of sympathy received since his passing has shown Amelie how people care about them. “People from all over the country are making notes to her,” Julie says. “It’s really touching. The whole thing is pretty overwhelming especially when people that I don’t even know are doing this.